Whether you are Boss, want to be a Boss or are shopping for a Boss, with this guide you’re sure to find the perfect gift idea for the upcoming holiday season. All the gifts are inspired by my recent travels, projects and newly discovered obsessions. This has become my go-to skincare line! I’m really trying to be more conscious of what I put in and on my body and this organic, animal-free and cruelty-free line offers me peace of mind knowing that I can feel fabulous without harming our environment. Etymologie uses only 100% natural ingredients in its products, uses recycled paper and cardboard for its packaging and uses glass bottles instead of plastic. This eco-friendly, beautifully packaged and wonderfully effective skincare line is the perfect gift for the conscious consumer on your list! Founder and fellow Boss, Raquela Cheesemond, applied her MSc and studies in Biochemistry and Food Science to produce ethical and elegant products backed by science. If there’s been one tool that has helped me scale my business and increase sales faster it’s Square, my point of sale machine. I bring it with me to every event I do and every conference I speak at. It’s simple to use and intuitive to set up, just as it promises. Whether I’m on the road or in my home town, Square allows me to sell my products and services with ease. It’s also super helpful for me to keep track of inventory and manage my invoices. This would make the perfect gift for the entrepreneur on your list that’s ready to take his or her business to the next level. There are two things you need to know about me: I am always on the go and I have a major sweet tooth. As you can imagine, those things are a tricky combo when trying to eat healthy - until now! Chez Lolo’s energy balls are my absolute favorite snack. As someone who doesn’t drink coffee or energy drinks, I need to get my “oomph” elsewhere and these treats sure deliver. Not only are they packed with fibre and protein, these raw vegan balls are filling and taste like dessert… they’re basically the unicorns of the snack world and I don’t go a week without them. Chief chef and Boss, Laura Cridge, believes that we can find balance in our hectic schedules by eating whole, being whole and living whole. I recently launched two bracelets which are intended to serve as visual reminders of your inner Boss that’s coming to the surface. The Masterpiece in Progress is a simple and chic bracelet made of white jade and howlite with rose gold plated accents. It represents motivation, strength and success. With it on your wrist, you’ll know that you’ve got this and everything you want is within reach. The Bona Fide Boss is a versatile unisex bracelet made of grey jasper and howlite, also with rose gold plated accents. It represents motivation, wisdom and clarity and helps to manifest the answers you have within you. This year has been one of deep introspection for me. I made an effort to focus more on my intrinsic motivators which encouraged me to slow down, tune in, and allowed my inner voice to guide me. On this journey, I came across Illuminator and Boss, Sukhdev Benning. Among his services are individualized guided meditations, that can be held online via Skype or Zoom, which take you into a slow, calming state. As relaxing as they are, their intention is to inspire you, ignite a spark within you and allow you to take flight within. I’m definitely going to book my session to get grounded for the year ahead and I strongly suggest that you do too. Trust me, you won’t regret it! Earlier in the year I had the opportunity to speak in Spain to an incredible group of women entrepreneurs. While I was there, I got to check out the Margot Blanxart studio and it was every bit a Pinterest lover’s dream as you’d expect. This company makes the most incredible headpieces, bouquets and accessories with the highest quality preserved flowers. Every piece is stunning, made with love and will last for years. Though the studio is in Barcelona, Margot Blanxart makes sure everyone can benefit from its masterpieces by shipping internationally. Founder and creative Boss, Alba Fraile, has built a business and life she loves and is the proud mom of two sweet pea daschunds, Rita and Dora. You can follow their adventures on Instagram. So, remember that sweet tooth I was talking about? 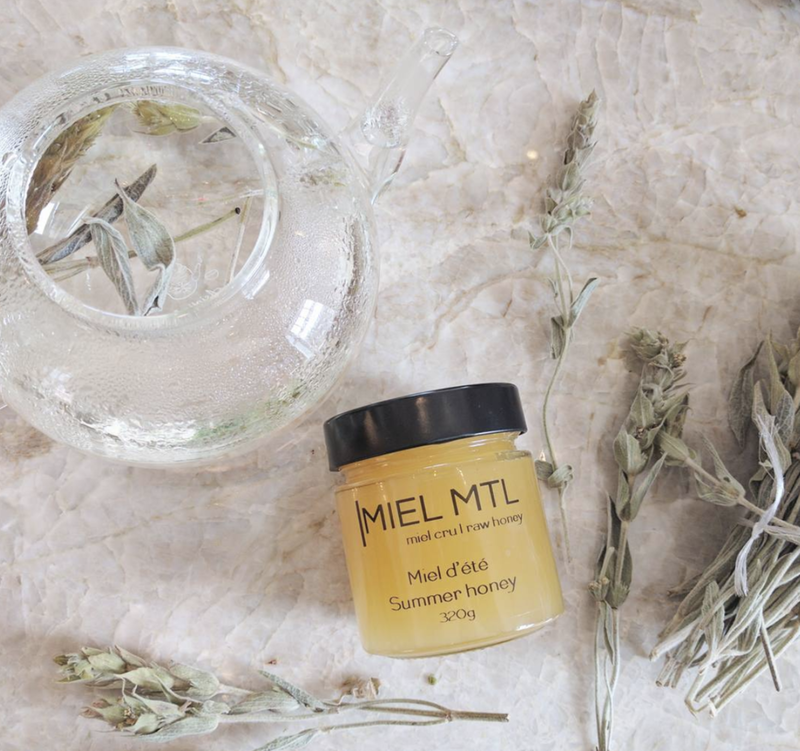 Well, honey is my sweetener of choice and no other honey on the planet compares to Miel Mtl. What’s even better about its unique taste is that each jar of Miel Mtl raw honey is cold-extracted to preserve the enzymes, pollen, nutritional and medicinal properties of the honey. If you have the chance, reach out to Beekeeping Boss, Nicholas Melka, and he’ll tell you how the bees saved his life. He’s paying it forward because with each jar sold, you’re helping to save our bees and our planet! This honey would make a great stocking stuffer for anyone! Of all the times I’ve been to New York City, I’ve never explored Chelsea until this past summer. It quickly became one of my favorite places. While walking the High Line, and squinting much of the way because I forgot my sunglasses (again), I was on the hunt for new shades and needed them in a New York minute! I came across Warby Parker, which I’ve certainly heard of but never really explored. The service was as awesome as their selection AND I discovered its a socially conscious business, score! Warby Parker partners with non-profits to ensure that for every pair of glasses sold, a pair is distributed to someone in need. If you’ve got someone on your shopping list who’s looking for a new pair of eyeglasses or sunglasses look no further. This wouldn’t be the Like a Boss Gift Guide without Bossing Up. This is the ultimate gift for the Boss on your shopping list. Bossing Up is a book for entrepreneurs and professionals who are ready to up their game and step into the next level of their potential. There are actionable tools in each chapter, as told through my experiences and the experiences of other people who are making things happen. Each chapter ends with a page for notes so readers can capture their ‘aha’ moments and key takeaways, as they pertain to them, with the intention that at the end of the book, readers will have their roadmap written out, in their words, in the context of their life. I’m not going to lie… it’s a pretty phenomenal read. I, admittedly, may be a little biased so don’t take it from me, check out the reviews. That’s a wrap for this year’s gift guide. I hope this makes your shopping a little easier and that you’ve found a couple gift ideas for yourself. Go ahead, you deserve it!